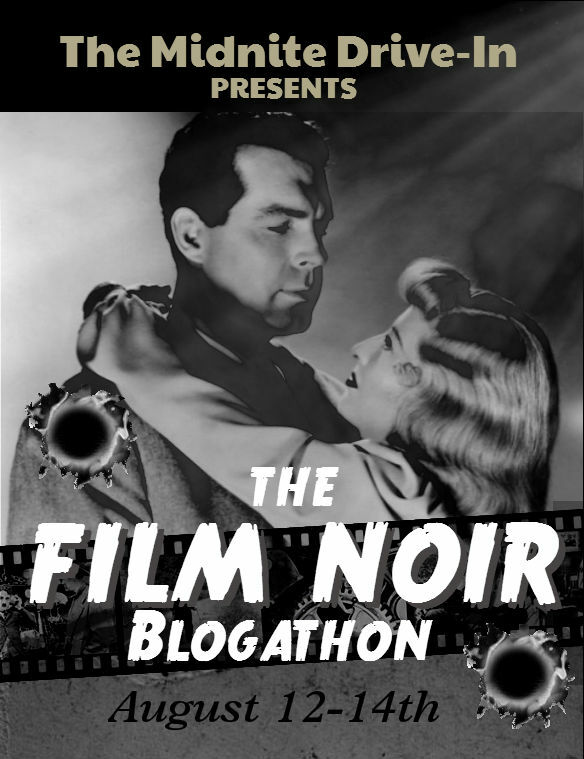 Attn: The actual Blogathon link page is here if you want to check out the entries that have been posted. Thanks! "Down these mean streets a man must go..." Those words, penned by Raymond Chandler, serve as a backdrop to what I consider one of the best genres of cinema. Film noir. The term is French for dark film or black film. 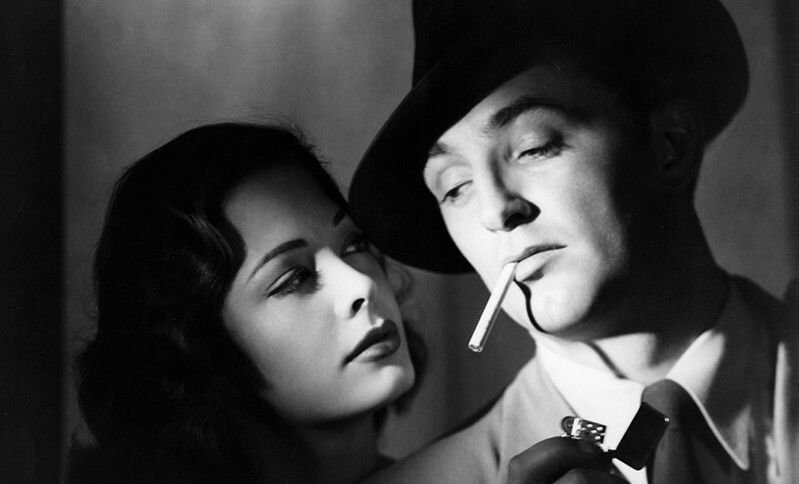 It was coined by French critic Nino Frank to refer to (mostly) American films of the late 40's and 50's which shared a common denominator of characters with "cynical attitudes and sexual motivations" (quote from wikipedia article on "film noir"). 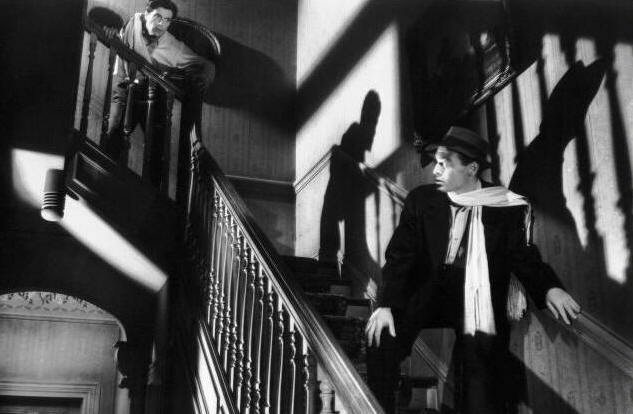 I have always explained to others that in film noir even the good guys are not exactly saints. No good guys in white cowboy hats, these. Sam Spade was willing to do whatever was necessary, within reason, to avenge his partner's death in The Maltese Falcon. Sometimes people are caught up in circumstances beyond their control and have to do things the average person would hesitate to do. 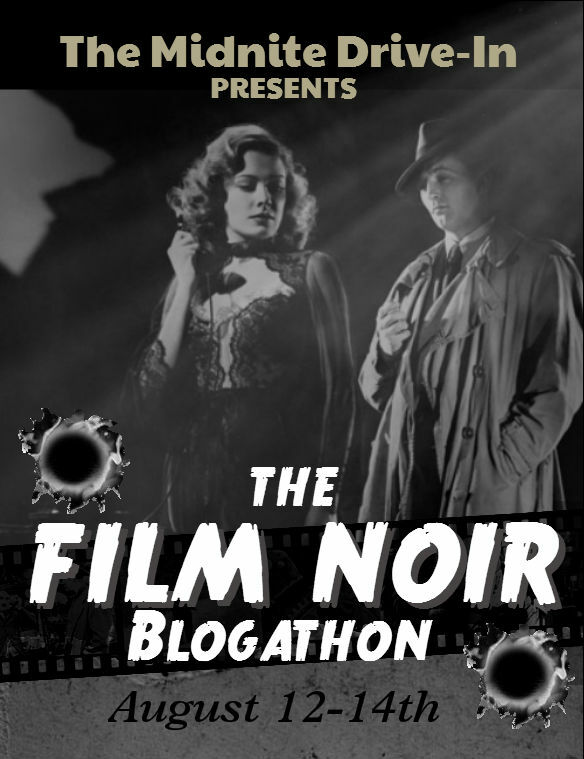 For this blogathon you are encouraged to pick a film noir movie and write about it for your blog. If you need suggestions, any movie in this link will most definitely be approved. 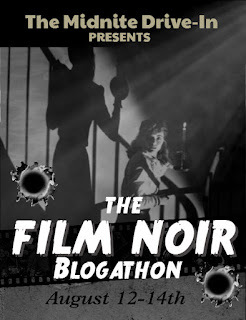 Film Noir I would prefer to keep it in the classic noir category, but for those few who write on classic silent movies who would like to join the fun, there are a few proto-noir titles, (see the "precursors" section of the above link). If you think you can make a case for a particular silent film, then have at it. Neo-noir movies will be allowed, but please, please try to find a classic one that appeals to you first. There are enough movies to go around, so please only one entrant per movie. A remake is acceptable, however. Step 1: Pick your movie (or movies) and post a message on this link. Be sure to post your blog address in the message, since I may not be able to find it otherwise. Step 3: Write your blog entry then message me again with the link so that I can counter-link to your blog from here. 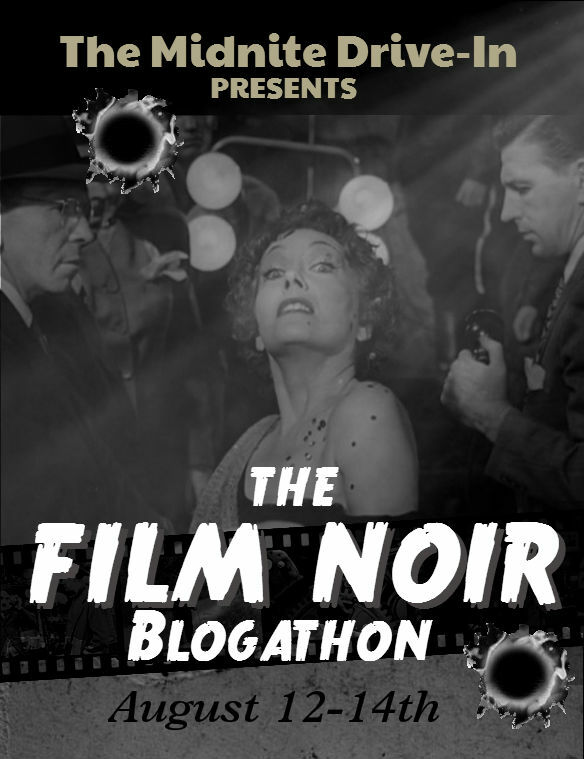 You can write early, but I will only post links after the blogathon starts. Update: Response to this has been overwhelming and more than for which I could have hoped. For your convenience (and mine) below is an alphabetical listing of the movies so far claimed. I claim firsties with D.O.A. and The Hitch-hiker, two great Edmond O'Brien noirs. Dibs on Specter of the Rose (1946) and Dementia (1955)! Time to rewrite that damn noir canon. I look forward to reading your canon rewrite! I went back and edited my post for future entries. Please. Do me a favor and put a link to your webpage. Thanks. Let me know if I didn't follow the format correctly. Thanks a bunch! What format? The only real rule was you do something on a movie (considered to be) film noir. I don't hamstring a writer's creativity in anyway. What you chose to do with the movie after you picked it is entirely up to you. I'll fix the list. 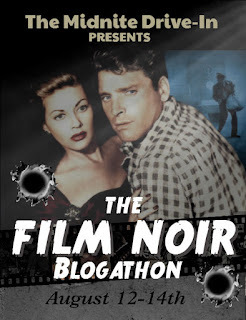 But I won't be linking it until the actual date of the blogathon. Thanks for entering early however. Just making sure that I linked to your site with the banner the way you want it. I'd love to join in. 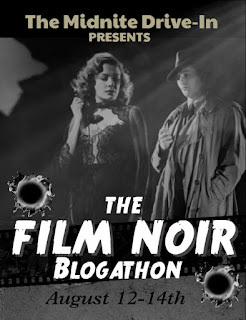 My blog is BNoirDetour.wordpress.com and I'd like to write for your blogathon on something a little different: director John Sturges and the Noir Western (The Capture and The Walking Hills). Ok with you? 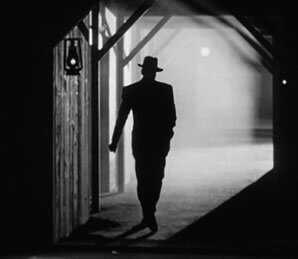 I'd love to finally see some good, substantial writing on noir westerns. There seem to be a good deal of them, and I've only really seen Anthony Mann's, and a handful of others. I can't promise substantial writing, but I'll do my best. Both are OK. Thanks. Got them listed now. Sounds thrilling, Quiggy! Put us down for two titles : My Name is Julia Ross ( 1945 ) and Beyond a Reasonable Doubt ( 1956 )...although I'm sure we'll write some other noir-themed posts before August. Thanks for plugging our website! I'd like to write about my the only film-noir that practically moved me to tears, Cry of the City with Victor Mature. 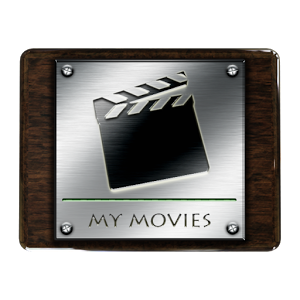 My blog is MovieMovieBlogBlog.wordpress.com. Good choice. I'll have it listed shortly. Now that I think about it, I inadvertently picked two movies with some common themes, including two noir protagonists who have uncommon romantic outlooks. So I'll combine them into one post! I'd like to tackle Hitchcock's Suspicion. My blog is the Cinematic Frontier (https://cinematicfrontier.wordpress.com). Welcome to the show. Thanks. 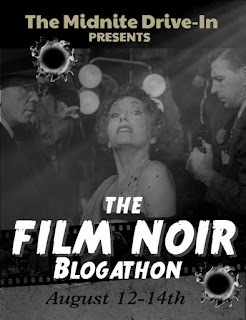 Big coincidence as I just came across this blogathon after I announced my latest blogathon which starts a day after this. I would like to do two films. Two separate posts. Could I do "Elevator To The Gallows"? An international Film Noir? I haven't decided on my second topic yet, but I will get back to you when I do. 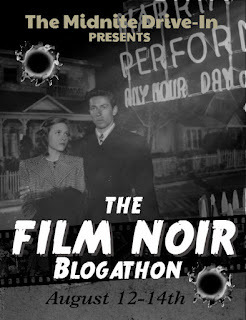 Oh, and before I forget, here's the link to my latest blogathon. I would love for you to participate. Bon choix. I'll add it to the roll and await the second choice. I'd like to write about two films that Phil Karlson and John Payne collaborated on together, Kansas City Confidential and 99 River Street. THanks for entering. As soon as I look up the years I'll add it to the toll. Saw KC confidential years ago. Havent seen the other one. White Heat is one of the best of the lot. Thanks for joining and welcome. Brilliant! I'd like to join please. 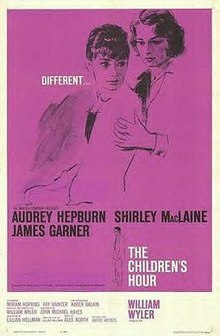 Could I write about The Big Combo (1955)? It's yours. Thanks for joining. Got it on the list. Thanks for boarding this train. Could I tackle "Memento" (2000) please? oops - sorry, just re-read your announcement and see it is classics only. I'll find something else and let you know. Hi! I want to write about the historical noir The Reign of Terror, from 1949. Is it accepted? I'm Le from the blog Critica Retro. You can have it. I didn't even realize there was such a thing as historical noir... Thanks for joining. Reign of Terror is crazy good. You may also want to check out The Tall Target, another Anthony Mann historical noir that'a also a western...about an assassination attempt on Lincoln. Hi! If available I'd like to contribute something on PICKUP ON SOUTH STREET (1953) or KISS ME DEADLY (1955) - whichever is available. You can have your choice. One (or both, but if you go both let me know if you plan on doing them as one or separate ones.) Also is those going on your Once Upon A Screen blog? Yes, Once Upon a Screen. Put me down for SOUTH STREET right now and I'll let you know if I can do the other one. Ok. I've finally decided on two choices, and have decided against "Elevator To The Gallows", so take that off the list. Instead I would like to write about two Joan Crawford Film Noirs: Mildred Pierce ( 1945 ) and Sudden Fear ( 1952 ). So put me down for those two in two separate posts. Joan Crawford is a film noir movie even unto herself... :-D Got you down for those choices. Quiggy, if Gilda (1946) isn't taken yet, I'd love to do that one...it's one of my all-time faves. Gilda can be yours. Surprisingly the only part of Gilda I have seen, as yet, is the clip they used in The Shawshank Redemption. Awesome, Quiggy, and I think it's a film you'll love--dark and passionate story of love--and hate! Hi! If "Double Indemnity" (1944) is still available, I'd like to write about that one. Surprisingly no one has yet claimed it. you got it. Hi, Quiggy! May I please write about The Strange Love of Martha Ivers? Thanks, Quiggy. I'd like to write about another film. Has anyone claimed The Stranger? Do you want to do it as a double feature or as two separate posts? Two separate posts. Is that ok? That link isn't working yet. I'll try later. But you can have the title. It was a problem at the source but its working now. I can't resist film-noir (don't even try). I'd like to offer something up on "New York Confidential" (1955) for the blogathon. At first glance I thought you picked Kansas City Confidential, which had already been snagged... OK you got this one. Thanks for joining. I would like to write about "Nobody Lives Forever" (1946). You're banners are so cool!!!! Could I also write about "Dead Men Don't Wear Plaid" (1982)? It's a sort of homage/parody of Noir. The banners you have to give Connie @ Silver Scenes credit. I got you down for both as separate blog entries. If you decide you want to combine them let me know. I was kind of hoping someone would do DMDWP. I'm going to do it as a precursor to the blogathon later, but it works for me. 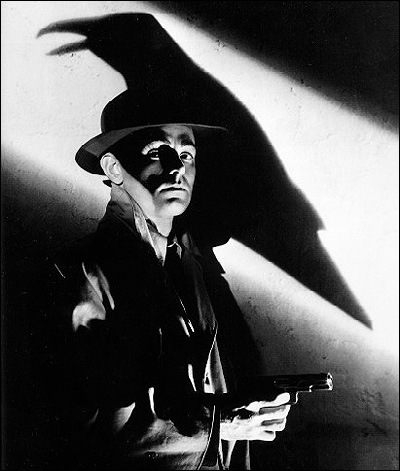 That was the one that sparked my interest in classic film noir as I tried to watch every movie referenced in the film. I would Love to write about Laura (1944) please!! You got it. Thanks for playing. Hi, I love this idea. I'd like to join up with Shadow of a Doubt, my all time fave Hitchcock movie or Out of the Past, whichever is available. I blog about movies and lots of other stuff at MsLake.me Thanks! Both are available. I'll put you down for the first one. If you decide on doing both and the second one hasn't been taken by then let me know. Could I do SOMEWHERE IN THE NIGHT? OK, I need a link to your blog to add it to the roll, though. Got you down fr it. Thanks for joining. It's still two months away before I even THINK about a cutoff date... You got it. I added it to the roll. Welcome to the night side. I'm utterly surprised no one has taken Sunset Blvd. yet, so I'd like to go for it. I haven't seen it before so this will be the perfect opportunity! My blog URL is littlebitsofclassics.wordpress.com - See you in August! Hello, I would like to write about Leave Her To Heaven for my blog, Old Hollywood Films, if no one has snagged it yet. My internet was down all day yesterday. I'll post it up today. Welcome to the club. Can't wait to read that. I love that movie! How many noirs have ever given the femme Fatale a motivation so challenging that it calls her whole status as such into question? What a rough movie. Could I possibly do Shoot the Piano Player? My blog is Cinematic Scribblings: https://cinematicscribblings.wordpress.com/ Thank you! Duly noted. Welcome to the club. Got it down. Thanks for joining. Hi! New to your blog, followed a link from Phyllis Loves Classic Movies. I adore noir -- I'd love to write about The Blue Dahlia (1946) and The Glass Key (1942), an Alan Ladd double feature if you will :-) My blog is Hamlette's Soliloquy. May I write about In Cold Blood please? I'm Anna of Defiant Success (http://movienut14.blogspot.com). Welcome to the dark side of the theater indeed... good choice. Hi there! Could I write about Criss Cross if that's still open? I've been dying to see it and this looks like the perfect opportunity! My URL is annsblyth.wordpress.com and the title is Musings of A Classic Film Addict! Thank you! Considering that's one of the banner movies that Connie made for me, I would have thought it might have been snagged. But it hasn't. You can have it. I noticed and was wondering the same thing! I'll definitely be putting that one on my sidebar. Thank you! Hello! Can I write about Niagara, with The Lady from Shanghai as my second choice (but not both)? I'm at deanclift.wordpress.com with the title Sleepwalking in Hollywood. There's nothing there. Is this a new blog? Or did you accidentally give me the wrong address? I'll add it anyway to bookmark the spot, but let me know. Hey there! It's a new blog. Sorry, I'm in a bit of a catch-22, I haven't made a post yet because I wanted to join a blogathon and write in it first. Thank you for letting me join! No problem. This blog was re-inaugurated after 4 years dormancy because I kept seeing blogathons I wanted to join. Thanks! I think The Small Back Room is the British title, no preference on my end. Hello, I would be interested in writing on the Set-Up (1949) if it is still available! Thank you. Its yours. Welcome to the show. Oh good! I was hoping someone would review that. You got it. Thanks for joining the parade. Put me down for THE NAKED CITY. Welcome to the parade Will look forward to your entry. Bob from It Came From The Man Cave! 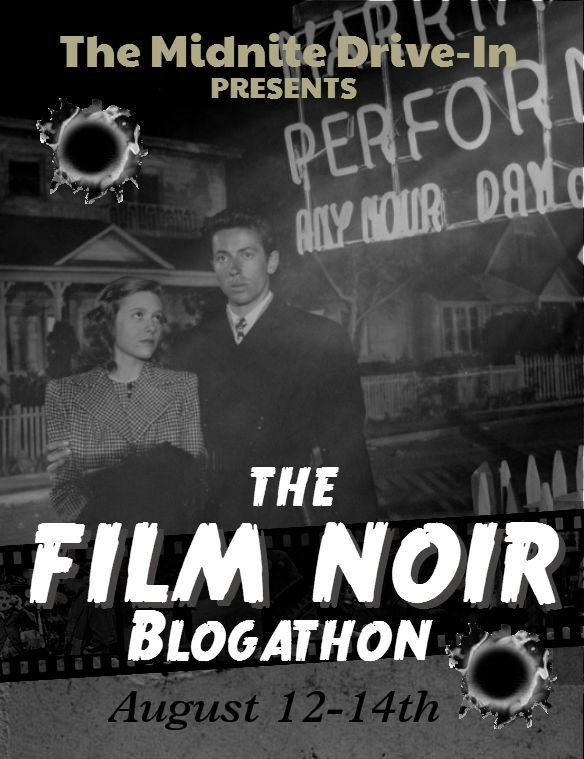 If it's cool, I'd like to review 'Armored Car Robbery' for your noir blogathon. I'm Todd at Cinema Monolith (cinemamonolith.wordpress.com). Thanks! Wow. A Richard Fleisher pic I haven't seen... OK, it's yours. Hi, I'd love to participate and write about a tight little noir I watched a couple months ago, found it on Youtube, it's called Framed. 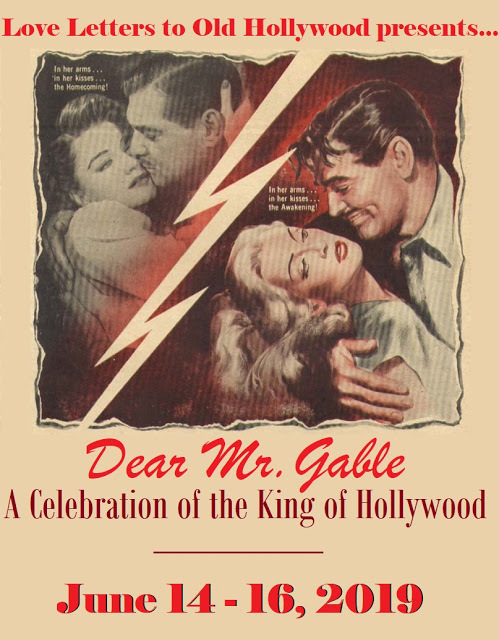 Made in 1947, stars a young Glenn Ford as the hero and Janis Carter as the femme fatale. OK, all I need is a website for your blog to add it to the roll call. Hi, I'd like to do a blog on M (1931) if that is still available. If not, I'd like The Killing (1956) to be my secondary pick. M is a great proto-noir. `I'll put you down for that. I was wondering when someone was going to get around to that one. Welcome to the show. I would love to review THE PROWLER if not taken? That one is yours. Truth is, I never heard of it until now... With Dalton Trumbo involved in the screenplay, it must be pretty good though. I'd say August 15th is too late LOL... Otherwise, I still haven't set a cutoff date, and I probably won't... You can have this one. Hi, I'd like to review The Lodger (1944), if I may. It's a historic setting, but there seems to be a consensus that it's film noir. just let me know. Thanks! Haven't seen it, but from the description on wikipedia it sounds like it has elements of noir. You are in. Thanks for joining. 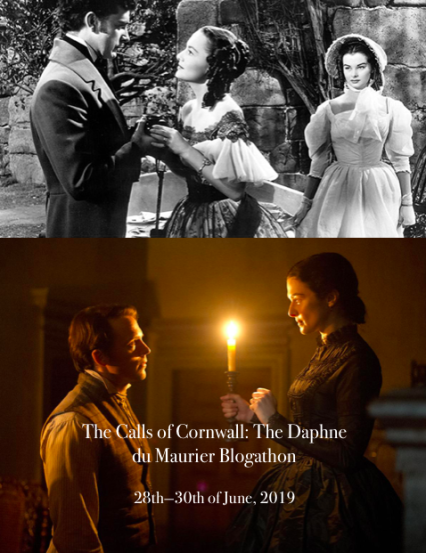 Here's my blogathon entry -sorry bit early but will be away for a wee while in August and unsure when will get online. When I do the first day's update I'll link it. Thx. I'd love to write about 'Sorry, Wrong Number' if that's OK. My blog is http://zummer.blogspot.co.uk, and the title is Anna, Look!. I've updated the roll call. Thanks for coming aboard. I think you told me already... I've got it pepped in the post for when it starts. Hope I'm not too late. Can I do THE ENFORCER? 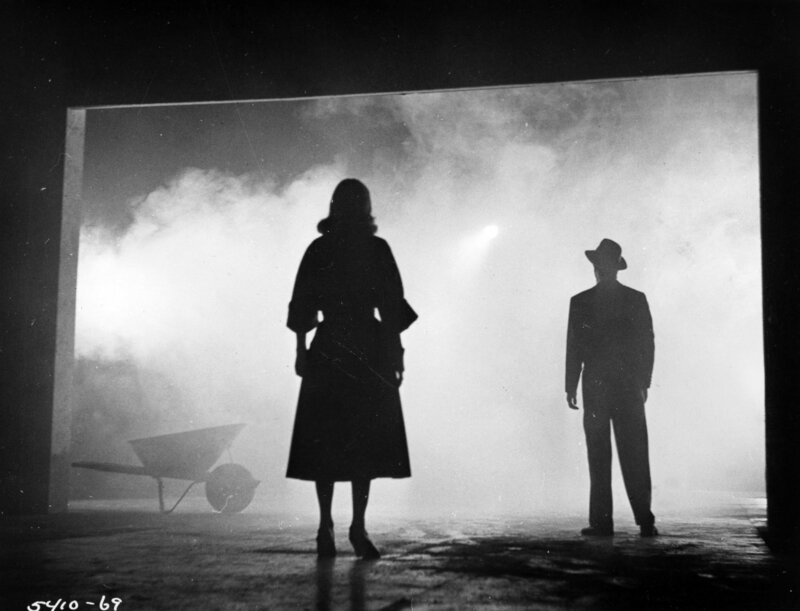 This looks like an awesome list for noir lovers. Thank you for hosting. Had to research to find that one. The only "The Enforcer" title that I knew was the Clint Eastwood "Dirty Harry" output. I only knew it by its alternate title "Murder, Inc." (which is odd since I am an American and "Murder Inc." is the British title). I'll get you added to the list. Hi. I hate to do this, but I'm afraid I won't be able to submit my entry for this event. I started it, but PICKUP deserves more time than I can give it in the next few days between co-hosting a blogathon myself and going to a film festival. Congratulations on the turn out. Noir always gets the best people out so I can't wait to visit and read the entries. Again, my apologies. I was really looking forward to this. You'll be missed Aurora, but get some rest. The Enforcer I'm reviewing is the 1951 Humphrey Bogart film. I'll add it to the post, thanks. The welcoming post will be up Friday morning. I'll add links as I get them throughout the weekend. Yikes! 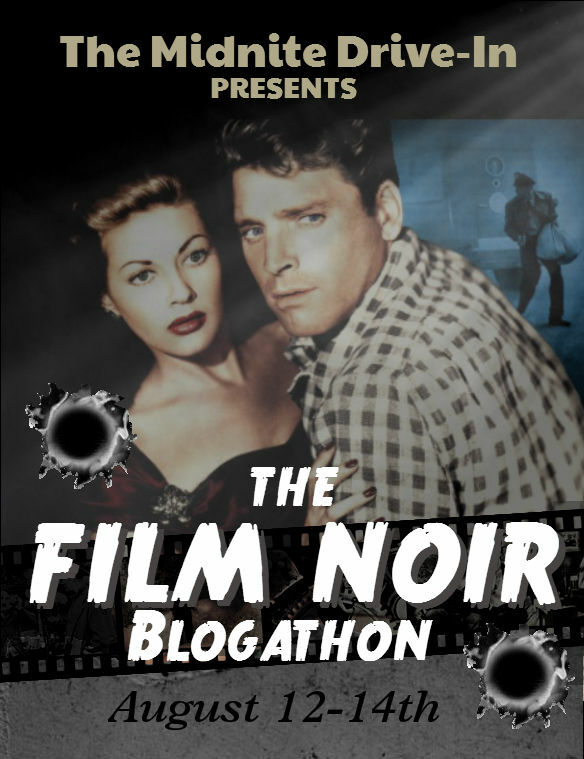 I've only just learned about this blogathon. Could I volunteer for the UK noir Return from the Ashes (1965) on my site Noirish on Saturday? I'll defer to your expertise (since your site is "Noirish"). Welcome aboard. Are you sure it was the right Quiggy? I don't show anything on FB in my account. Don't have any idea why I didn't get it. Sorry. "Treasure of Monte Cristo" -- despite its title this is film noir set in the forties when it was released. Don't know that one at all, but since the IMdB page for it has it linked to a DVD title called "Forgotten Noir" I think we can allow it. good writing to you. Got it posted. Thanks for participating. It's been added to the post. Sometime tomorrow morning I'll post the lineup when I finally get fully awake... Thanks. It's been added. Thanks for joining. If the follow through matches the signup, this will go down in history as my biggest blogathon, I'm sure. I certainly don't foresee being able to come up with another as intriguing... Thanks for your participation and especially for the banners. Thanks for joining. Lookin forward to reading all of these. Thanks loads. I'll add it to the list. Gotcha covered and thanks for playing along. Got it added. Thanks for coming aboard. Hi Quiggy! My post for 'Armored Car Robbery' is up! My main page is here (https://cinemamonolith.wordpress.com/) and my actual review page is here (https://cinemamonolith.wordpress.com/zz-reviews/armored-car-robbery-1950/); whichever one you'd rather link to is OK with me! Thanks for putting on a good show! I prefer to link directly to the post, that way 2 or 3 months down the line, if someone wants to read it they don't have to call out search party. :-) Thanks for participating. Thanks for joining. Its on the list now. No. Thank YOU for filling out my roster... :-) Its on the board now. https://wolffianclassicmoviesdigest.wordpress.com/2016/08/14/the-prowler/my review for the event. thanks so much for hosting this wonderful event. Thanks for joining. You are on the list page now. It has been added, Thanks. Almost missed adding it because when I was speed scanning replies I saw you had replied to your own post and I thought it was one I'd already replied to and updated... :-D Its on the list now. Got it on the list. Thanks. You can still submit it if you want. I don't care about time limits. That was just the basic window for opportunity.